Williamson County is home to approximately 50,000 veterans – a high volume considering Williamson County’s total population of about 550,000. 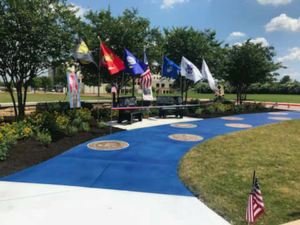 The Seton Circle, a Seton Medical Center Williamson employee giving circle, wanted to find new ways to honor the heroes who served our country and now reside in the Wiliamson County community. The Honor the Red, White & Blue Program aims to honor living and deceased veterans who come to Seton Medical Center Williamson. The first step is finding out if a patient served our country and if they’d like to be recognized. 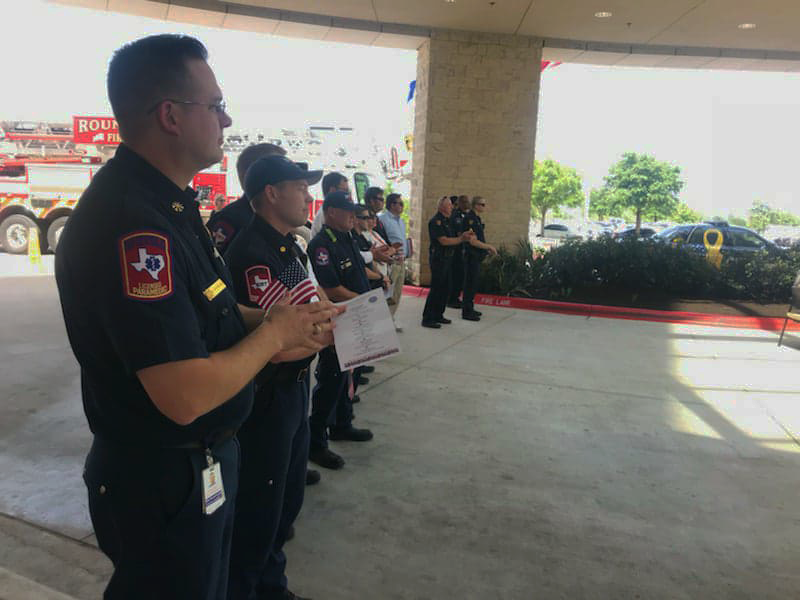 If so, their status as a veteran is shared with the staff, a magnet is placed on the door frame of their room and a sticker is placed on their chart, giving the Seton Medical Center Williamson staff the opportunity to thank that patient for their service. Sometimes honoring our veterans goes even further with a final salute if the patient dies. The veteran’s body is draped with an American flag and is surrounded by staff members, who offer a final salute to the deceased as the funeral home takes them away through the front door. The final piece of the program is a Veterans’ Memorial Garden featuring two black granite park benches (one etched with the emblems of the 5 military branches and one etched with the American flag), and red, white and blue laser etched service crests on the sidewalk, as well as four veterans only parking spots next to it. Thank you to Gary Williams, Director of Nursing at Seton Medical Center Williamson, The Seton Circle and our generous community for supporting these efforts to honor our nation’s heroes.